Rich and creamy, with a gooey melt and just enough earthy funk to hit home, Fontina Val D’Aosta may as well be a perfect cheese. Often imitated but never replicated by cheaper alternatives like wax rinded Danish Fontal, or Fontinella; Fontina Val D’Aosta is the real deal, with the DOP label to prove it. 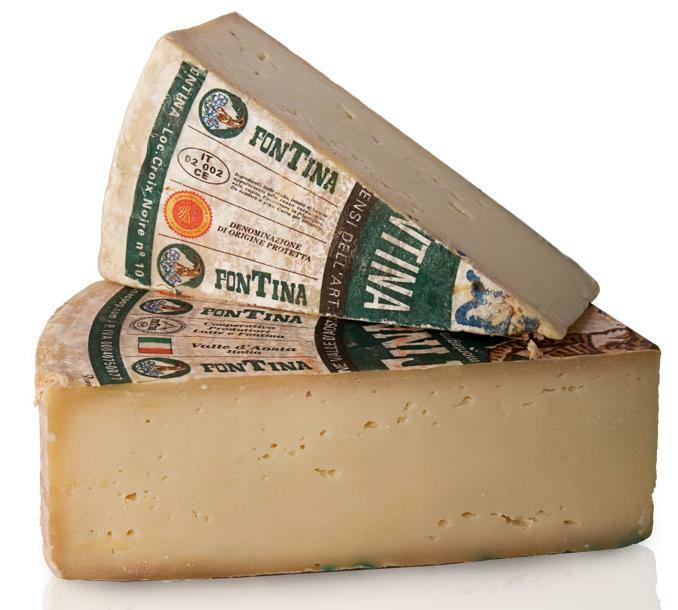 Fontina is made in the tiny Val D’Aosta region of northwest Italy, set in the shadows of the Swiss Alps, with Matterhorn to the West, and Mont Blanc to the east. 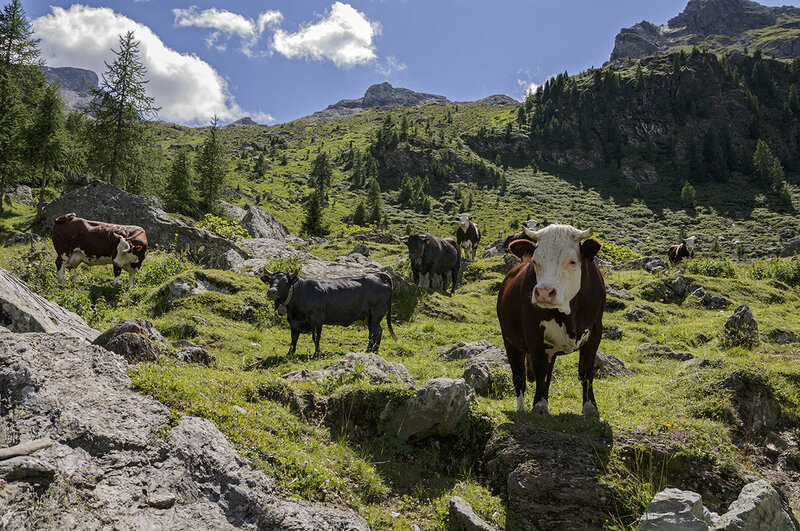 Fontina Val D’aosta can only be made from the unpasteurized milk of the red spotted Valdaostan cows who graze in the lush summer pasture of the Aosta Valley. Fontina is an alpine style cheese, the curd is cooked in copper pots over an open fire, and the 20 lb wheels are washed in brine as they age in cool mountain caves. Our selection of Fontina Val D’aosta is aged between 120 and 150 days, the finished wheels have a brick red natural washed rind that is slightly tacky to the touch. The cheese has a dense fudgy texture that is slightly softer than that of an alpine Gruyere. Fontina Val D’aosta is great for nibbling or cooking, with rich hints of fresh cream, and an earthy finish reminiscent of the fresh white truffles that grow in nearby Piedmont. The classic regional dish from Val D’aosta is Fonduta: the Italian version of Swiss Fondue that, in classic Italian fashion, is far more sinful and decadent than the original. Fontina Val D’aosta cheese is melted into heavy cream and egg yolks before being garnished with freshly shaved white Alba truffles. Fontina Val D’Aosta pairs well with a full bodied chardonnay but would also play nicely with a spicy Barbaresco or an aged Barolo. On the beer side, try Fontina Val D’aosta with a hoppy IPA or Farmhouse Saison.